What a stay! A truly fantastic family holiday, somewhere I am sure we will be back! The hotel itself was stunning, the scenery, rooms where excellent, the food was very good - what topped our stay was not only the friendly manner of all staff, but genuine care, the little things, to ensure both of my children were not overlooked, like providing baby equipment in our room upon arrival without asking, and giving little treats every other night to our room for my kids, again without asking - nice touch! Dear Mr M., It was a pleasure to have you with us at Raffles Seychelles & thank you for taking out time to review us. We are thrilled to receive such a wonderful feedback from you & look forward to welcome you back soon at one of our Raffles property. Sincerely, Raffles Seychelles Team. Fantastic experience on all aspects. We could hardly think of going back. Dear Ms D., It was a pleasure to have you with us at Raffles Seychelles & thank you for taking out time to review us. We are thrilled to receive such a wonderful feedback from you & look forward to welcome you back soon at one of our Raffles property. We have also noted that you have rated us low on fitness facilities, may we request to know how we could have improved on that. Sincerely, Raffles Seychelles Team. Very good, good view, good food and elegant hotel environme. The hotel location is nice, very quite. Friendly staff, but the hotel need a lot of work to reach 5 star in renovation. Excellent, the staff did their utmost to accommodate our wishes, especially since my wife is pregnant. The rooms are beautifully situated and very well equipped. My husband and I were blown away by the service and the beauty of the resort. The villas were jaw dropping and the staff was great. Good wifi service in the rooms and we were very sad to leave. the position of the hotel is fabulous , the facilities great and the staff very accommodating - I stayed for 5 nights and would have happily stayed another week and spent more time exploring the local area - will certainly return. Very enjoyable with friendly, pleasant and efficient staff. Comfortable and good value and a perfect location for our wedding and honeymoon. Dear Richard P., It was a pleasure to have you with us for your wedding & honeymoon & thank you for taking out time to review us. We are thrilled to receive such a wonderful feedback from you & look forward to welcome you back soon at one of our Raffles property. Sincerely, Raffles Seychelles Team. 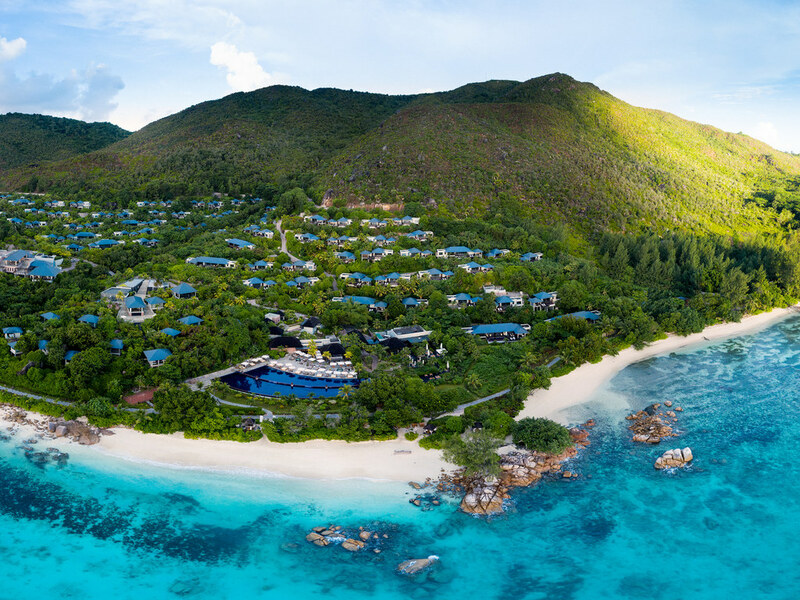 the perfect place on touristy Praslin to get away from everything, to enjoy private white pristine beaches, villas with incredible views and wonderful private pools, excellent restaurants, very friendly and always helpful stuff, lots of sports possibilities, we loved it! There is lots of maintence needed around the place. Staff were great. Food was great. The level of service and the attention to detail was just amazing. We stayed at Raffles for a week mid February. Everything was amazing. The hotel itself offers a 5* lux holidays but it’s main advantage is the team, the staff with its professionalism and kindness. Special thanks to Mrs Castro ( in Losean Restaurant) for taking care every client so unique. Many thanks to everyone that made our holidays so magical and special. the room is very spacius and comfortable.and the staff are all very friendly. Really excellent from room to service - top notch all the way. We loved it. The room was amongst the best we’ve had in many years of travel. Service was excellent, always friendly, and very accommodating. We met the management and they were very relaxed and helpful, almost like fiends. Nothing bad to say in any area, it was truly spectacular.